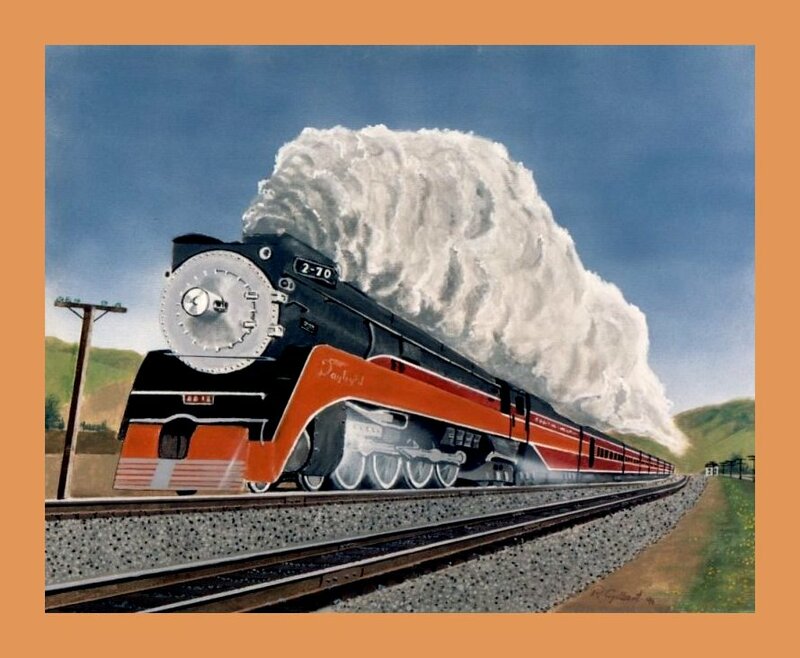 Welcome railroad fans, railroad artists, art lovers and all others to RAILARTIST INC. I hope you will enjoy my original railroad paintings as well as this site in general. Some of my themes are the great railroads such as Santa Fe, Southern Pacific, Union Pacific, and others. This art is original and available for your ownership. This site and RAILARTIST INC. is non-profit, and proceeds go to various Railroad Museums for restoration purposes. Some of these one of a kind works of art such as my painting "Daylight Delivery" are reproduced on T-shirts, Mugs, hats etc. and are available at my railroad gift shop. Another feature of this site is the Classic Prints & books page where you can view some classic railroad prints and books for purchase. To any of you who are fellow railroad artists and have your own page, I encourage you to join the Railartist Web Ring at the bottom of this page. 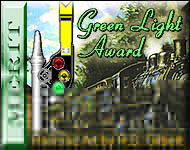 Last but not least, is the Railroad Artist Award Page where you can win an award for your railroad related web site. Please use the navigation buttons above this text for ease in exploring the site. To make comments or be on my Mailing List Click Here. NOTE: Go to any picture, and you can navigate to the next one by clicking on "next painting" (below the one you are viewing) or click on "price list" to view price. To view THUMBNAILS Click here.